Whether you’re buying or selling a Novi Michigan home (or real estate), your success hinges upon the expert advice and services provided by your professional Novi real estate agent. I’ve filled this website with the best tips and resources to help you quickly understand what you need to know — and how I deliver the services designed to meet your needs. If you’re selling in Novi click here to learn more about the process and how to ensure your property sells quickly and for the highest price possible. If you’re buying in Novi click here to discover how to find your next dream home and get it, without overpaying. Novi is a suburb of Detroit and Arbor Michigan located in Oakland county Michigan (just outside of Wayne county). Novi is almost in the middle of Downtown Detroit and Ann Arbor (about 30 miles to each) with easy access to local expressways. 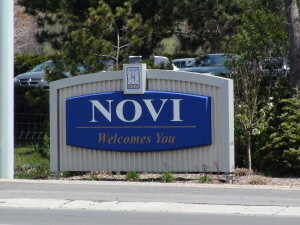 Novi’s total city area is 31.3 sq. miles according to the United States Census Bureau with just over 55,000 residents. 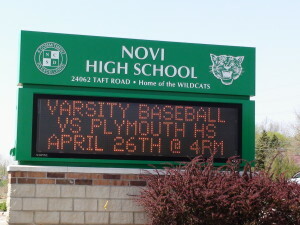 The city of Novi was incorporated in 1969. As a local resident of the area I am here to say Novi is loaded with great shopping, dining, health-care, parks and outdoor recreation, schools, accessibility and much more. Novi Michigan has some of the area’s best shopping and dining. Whether you like big mall type shopping or small unique boutiques — the area has it all. I have seen many area residents from all around come to Novi for a day of great shopping. 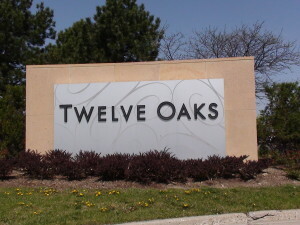 Some of the bigger shopping areas include Twelve Oaks Mall, Novi Town Center, West Oaks Shopping Plaza, Twelve Mile Crossing and Laurel Park Place Mall in neighboring Livonia. The local area downtown area’s are really something special and all very close by. Let’s visit Downtown Novi, Downtown Northville, Downtown Plymouth, Downtown Milford and easy access to Downtown Detroit. These area’s are known for some great restaurants, shopping, entertainment, pubs/bars/nightlife and overall great just to walk around for a few hours. I would also have to add Downtown Farmington, Downtown South Lyon and Downtown Brighton are all within 10-20 minutes. Novi also has great access to some fantastic area parks. Well worth the visit here are just a few that I personally love to visit frequently Maybury State Park, Kensington Metro Park, Island Lake Recreation area, Huron River Activities (kayaking, canoeing, etc.) and Proud Lake. Take a special look at Kensignton Metro Park as there is a small water park on the beach (with food and bathrooms), great paved and unpaved trails, disc golf, boat rentals (non motor type), farm and nature center, play area’s and much more. Also within a approximately 30 min drive we have two great ski mountains–Mt Brighton and Alpine Valley. The area offer’s all of this and much more with great local expressway access. 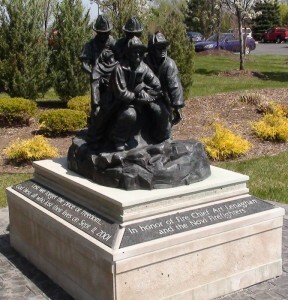 Here are just a few neighborhood’s in Novi Michigan to give you a great feel for the area. Let’s take a look at Chase Farms, Barclay Estates, Cheltenham Estates, Beckenham, Royal Crown Estates , Dunbarton Pines and Autumn Park. You can feel the tremendous amount of pride in home-ownership in the area with well taken care of home, yards, streets and local parks/open spaces. Welcome to the Real Estate information portion of the page. If you are considering buying or selling a home in Novi, take the time to navigate this entire site. 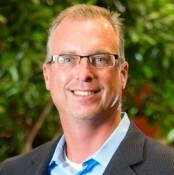 We are always available to help with any questions or concerns you may have about Novi Michigan Real Estate. We have put a lot of time & effort into bringing you the best resources possible for the area. 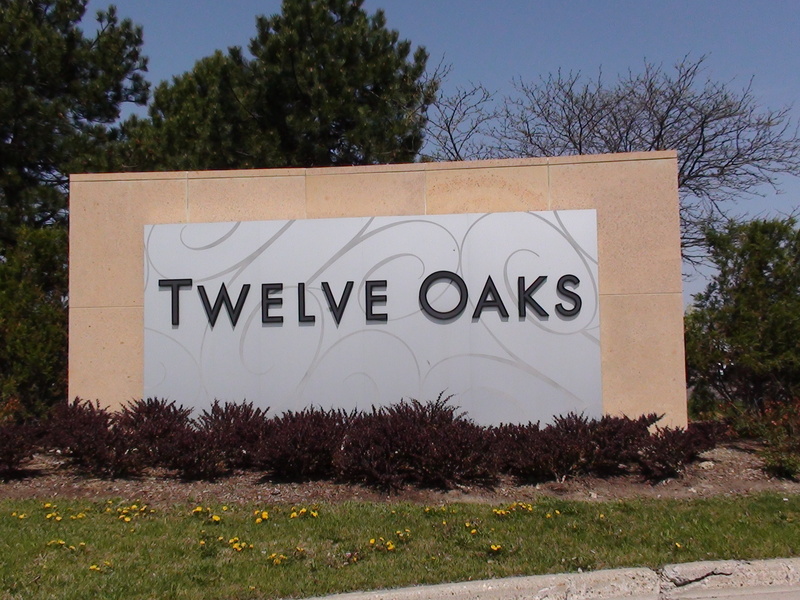 Many Novi families enjoy the great shopping, beautiful homes, convenient location, great schools, close to nature (lakes) and buy homes in the area for some of those reasons. So go ahead and click the link below to see available houses for sale, or to see your competition if you are going to sell your house. If you have any questions on tax rates, garbage pick up, school districts, neighborhood association rules and bylaws, what a house is worth or any other real estate related question just drop us a line anytime. Happy House Hunting! Feel free to follow the links for a great local real estate agent and nice tool to determine Novi home values: Novi Home Values. When considering relocating to any new Novi neighborhood many families put what school district they will be in at the highest priority. 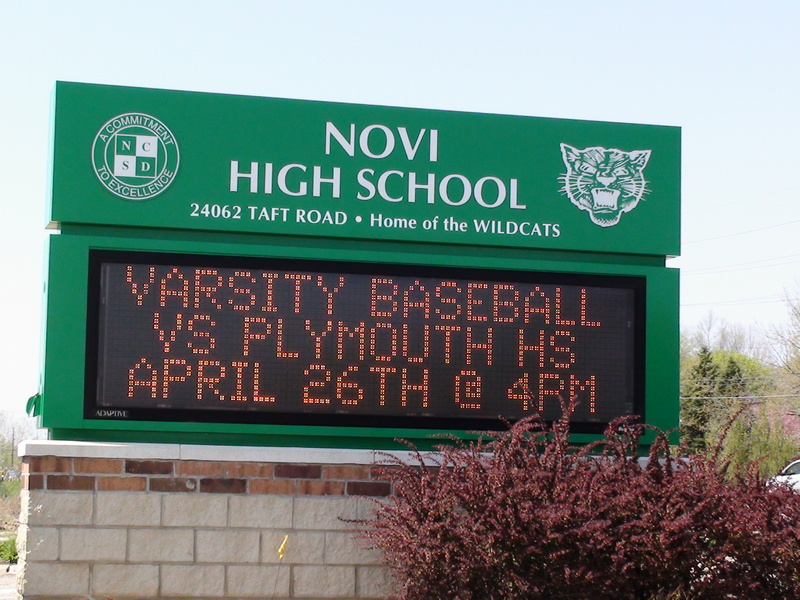 Novi is a large city/twp (with children often attending other area school districts–Northville, Walled Lake, etc) and putting all the information you need at your disposal is a challenging task. Please be sure to double check the school district your child will be attending before you make any home buying decisions. The intent of this web site is to take things into account such as school district, affordability, shopping, traffic patterns, and accessibility into the home buying or selling process. Follow the link below for information on Novi Area schools. If you have any questions or comments please feel free to contact us. Thank you for stopping by our Novi Michigan Real Estate Web-Page. Feel free to visit any of our other sister/networking sites for more local area information (as seen on top of page).